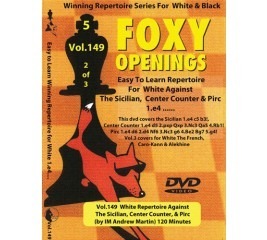 Tackle the latest theory with Foxy Openings. The Pioneering series that started it all. Now you can invite a top player into your living room and prepare to play one of his favorite openings. If you want to get consistently good positions in the opening without having to memorize mountains of theory (as even grandmasters do!) 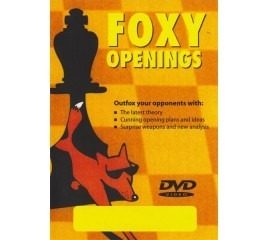 then Foxy Openings is definitely the series for you. In these videos experts reveal their own analysis and suggest new ideas for you to exploit, they also recommend and explain their favorite plans. 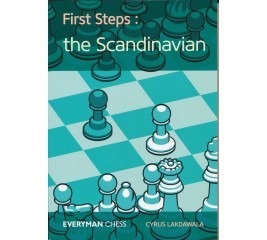 The Scandinavian (also known as the Centre Counter Defence) occurs when Black meets White's 1 e4 with 1 ... d5, immediately countering in the centre. 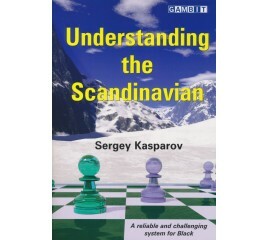 White invariably continues with 2 exd5 when Black can choose between two systems, both of which are covered in this book. Firstly 2 ... Qxd5, which regains the pawn immediately but exposes the black queen early on – a feature that complicates the play for both players. Secondly 2 ... Nf6, which invites White to risk attempting to hold onto the d5-pawn. If White goes down this path then a complex tactical struggle can easily develop. 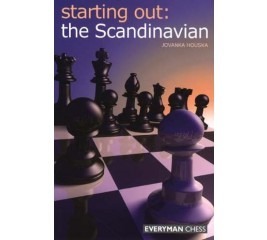 The Scandinavian is a rarely employed opening on the highest level and guides your opponent on much less familiar terrain than for example the Sicilian, French or any 1.e4 e5 system. This rareness leads to a slow evolution of theory and avoids the need to permanently refresh your knowledge on the latest developments. Don’t hesitate long and make the Scandinavian your opening weapon. 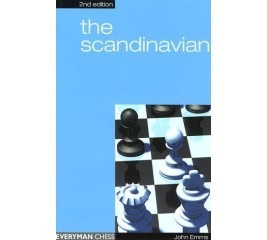 This book presents a Black repertoire based on the Scandinavian Defence with 1.e4 d5 2.exd5 Qxd5 3.Nc3 Qd6. This is the safest yet aggressive queen retreat. It allows Black to increase pressure on d4 with ...0-0-0 or ...Rd8 while keeping coordination in the centre. 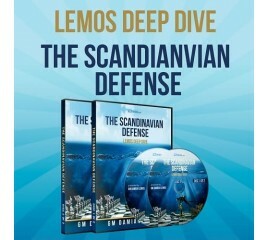 The appeal of the Scandinavian Defence is easy to understand: it is very forcing and Black is virtually guaranteed to get his desired structure. There are no annoying Anti-Scandinavians' to study! This thoroughly modern guide focuses on these new approaches, while also covering the more traditional main lines. 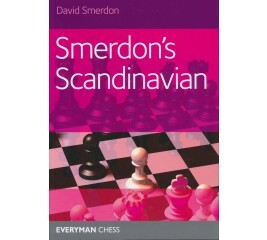 Grandmaster David Smerdon plays the Scandinavian, but not in the typically solid style of this popular opening. He gives the Scandinavian a welcome twist by using it as an all-out attacking weapon! The repertoire he presents in this book is an enhanced version of the one he has successfully employed at grandmaster level over many years. IM Bill Paschall currently resides in Budapest, Hungary. Billw as the Boylston Chess Club Champion 2002, finished 1st at the Foxwoods Open 2002, Two-Time New England Open Champion, and has defeated more than 20 IGM's in tournament play. 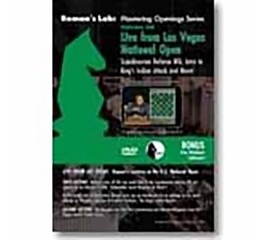 IM Bryan Smith grew up in Anchoarge, Alaska and now resides in Philadlephia, PA. His accomplishments include first in the 2008 National Chess Congress, first place in the 2008 King's Island Open and has won many other Grand Prix tournaments. 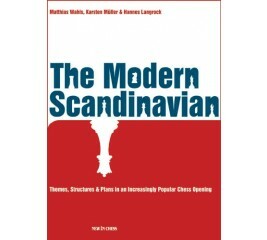 The Modern Scandinavian is an updated and expanded translation of "Modernes Skandinavisch 2", which appeared in 2006 and also became a bestseller. 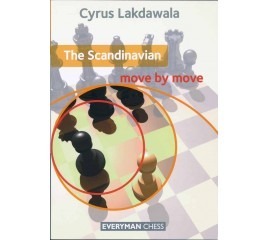 This second book focuses not on theoretical lines but on the structural ideas after the moves 1.e4 d5 2.exd5 Qxd5 3.Nc3 Qa5. After one move of the Scandinavian opening, 1. e4 d5, Black decides where the battle will be fought - a significant gain for any competitive player. 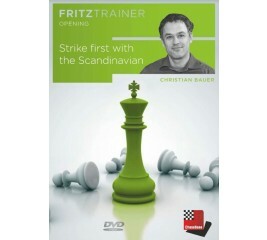 Grandmaster Christian Bauer is one of the world's leading experts on the Scandinavian and in this book he reveals the secrets of his over-the-board success. 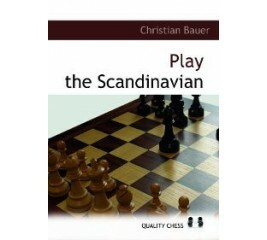 Bauer focuses particularly on 2.exd5 Qxd5 3.Nc3 Qa5, the established main line of the Scandinavian. In recent years the Scandinavian has been catapulted into the limelight, and it has now firmly established itself as an opening to be reckoned with. Why has it become popular? Because it's easy to play! From a theoretical backwater to a fully blown main line opening, the rise of the Scandinavian Defence (1. e4 d5) has been nothing short of meteoric. 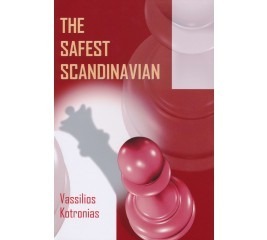 Over the past fifteen years the Scandinavian has become more and more popular both at club and Grandmaster level. It even managed to obtain an ultimate seal of approval when Vishy Anand employed it in his World Championship match with Garry Kasparov! 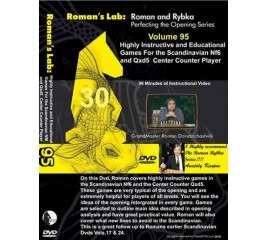 On this DVD Roman, together with Eugene Perelshteyn and assisted by the world's strongest software, Rybka, have re-invented the 3... Qd6 Scandinavian. This opening is the best unexplored and underestimated weapon available for Black in a long time. What makes this opening so inviting is there is not much to learn, easy equality is obtained, and it can't be refuted, while also being rich with tactics and counter play and hidden traps. 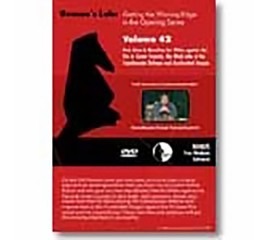 On his new DVD Sergei Tiviakov shows you everything you need to know in order to be able to play 3...Qd6 yourself, right away. Roman has beaten the top players in the world with this unknown variation of the Sicilian. This is a tested powerful line and gives Black an advantage in the opening. On this DVD, Grandmaster Roman Dzinzichashvili examines games that were played in the Scandinavian Nf6 and the Center-Counter Qxd5. 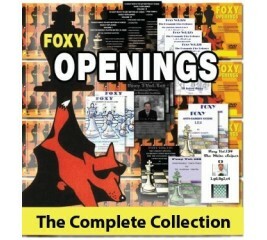 The games includes are very typical of the opening and are extremely helpful for players of all levels. Produced at the International Chess Festival held in Las Vegas at the National Open. 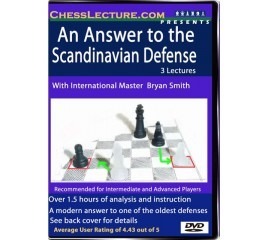 In the first part of the DVD, Roman covers less common lines in the Scandinavian Defense. 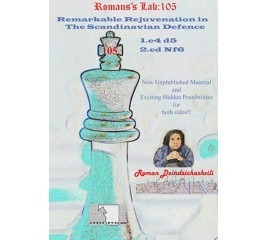 This lecture complements the material contained in Volume 17 in the Roman's Lab series. 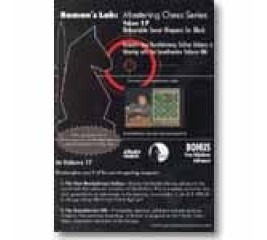 In the second part of the lecture, Roman gives you an introduction to an opening he has played for 20 years and one Fischer's favorites - the King's Indian Attack. 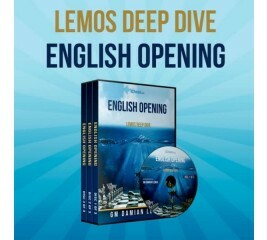 This DVD is a prelude to Volume 28 where Roman will cover this flexible opening in more depth. Black cannot prevent you from playing your standard set-up. Roman explains Whites ideas and plans and how to achieve good positions. 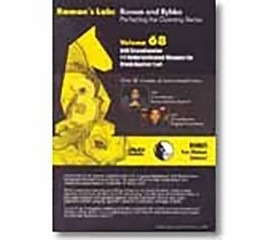 On this dvd Roman reinvents some of the most popular lines in the center counter. Roman demonstrates, by using some of his own games as examples, new ways to play against lines that previously gave white an edge. There are lots of new hidden possibilities for both sides. On this DVD, Roman gives you new ideas on how to take a logical approach to opening positons that you have not encounter before. Roman will also give you new unplublish lines for White against the Pirc and Center Counter Qd6 & Qd8 variations. He also covers new lines for Black - playing the Scandinavian Defense and improved lines in the Accelerated Dragon against the f4 Grand Prix Attack and the Closed Scilian. These new lines and additions will put the winning edge back in your game. Volume Two continues Martin's new ''Winning Repertoire Series for White - 1.e4'', which outlines a complete repertoire system for the first player, built around the King's Pawn opening. Here IM Martin covers how to answer the Sicilian, the Center Counter and the Pirc. After 1.e4 c5 White will continue 2.b3! and enter prepared territory; if 1.e4 d5 we follow with 2.exd5 Qxd5 3.Nc3 Qa5 4.Rb1!, and the Pirc meets with 1.e4 d6 2.d4 Nf6 3.Nc3 g6 4.Be2 Bg7 5.g4! and attack as shown. Roman gives you 2 of his secret opening weapons: The New Revolutionary Sicilian Roman has beaten the top players in the world with this unknown variation of the Sicilian. This is a tested powerful line and gives Black an advantage in the opening. Featuring the hottest modern and gambit lines! IM Andrew Martin presents his own ultra-sharp repertoire with 1.e4 d5. This is your guide to pure chess carnage! The Centre Counter Defence has experienced an enormous increase in popularity over the last 20 years. 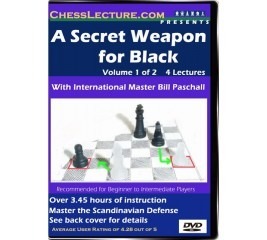 Players the world over, from local expert to Grandmaster, appreciate the ease with which one can pick up this method of play and the good results that Black can get. Volume Two continues Martin's new "Winning Repertoire Series for White - 1.e4", which outlines a complete repertoire system for the first player, built around the King's Pawn opening. Here IM Martin covers how to answer the Sicilian, the Center Counter and the Pirc. After 1.e4 c5 White will continue 2.b3! and enter prepared territory; if 1.e4 d5 we follow with 2.exd5 Qxd5 3.Nc3 Qa5 4.Rb1!, and the Pirc meets with 1.e4 d6 2.d4 Nf6 3.Nc3 g6 4.Be2 Bg7 5.g4! and attack as shown. Here is an opening for Black which will furnish good results in the shortest possible time.